At the Monday November 2nd Pittwater Council Meeting a Motion to hold a final Public Meeting to 'hear an update from Council and express their democratic voice on the State Government’s Fit for the Future council amalgamation process' passed. Minutes of Pittwater Council Meetings are published on the Pittwater Council website and may be accessed under the Meetings and Agendas tab. Mayor of Pittwater, Cr. Jacqueline Townsend in opening the Meeting explained the timetable had been dictated by the State Government at present, hence the reason for the short notice, ‘but we here in Pittwater are connected and it doesn’t take much for the message to get out wide and far’. “I’d like to set a framework for where we are today and why we’re here. It’s really now that is the time to have an open and constructive conversation without people thinking they’re on the side of right or wrong. We’re here to respond to Premier Baird’s call for Councils to submit preferences and these suggest there is a high probability that change will take place. So do we ignore that call and do nothing? Or do we provide a preferred model to their forced amalgamations? Standing behind our last submission does not provide a model if forced. Our SHOROC neighbours will be providing their preferences if the government does proceed to force change. 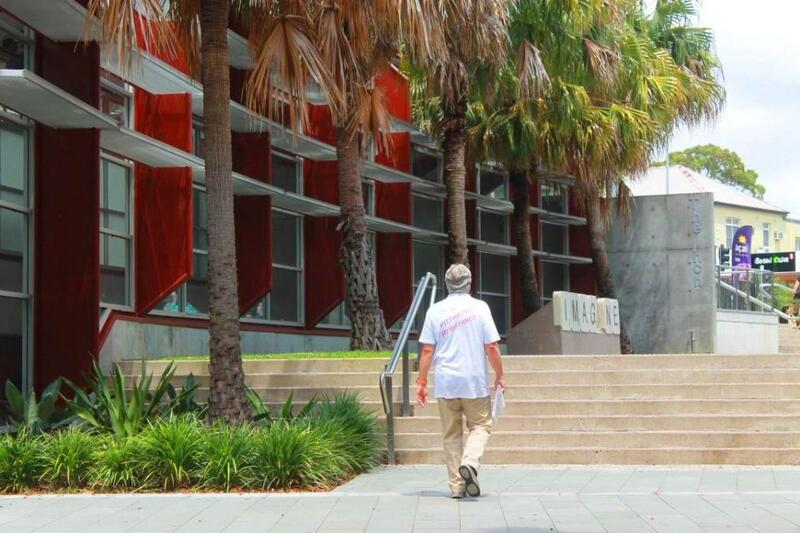 Both IPART and the ILGR Report prefers one council for the northern beaches. 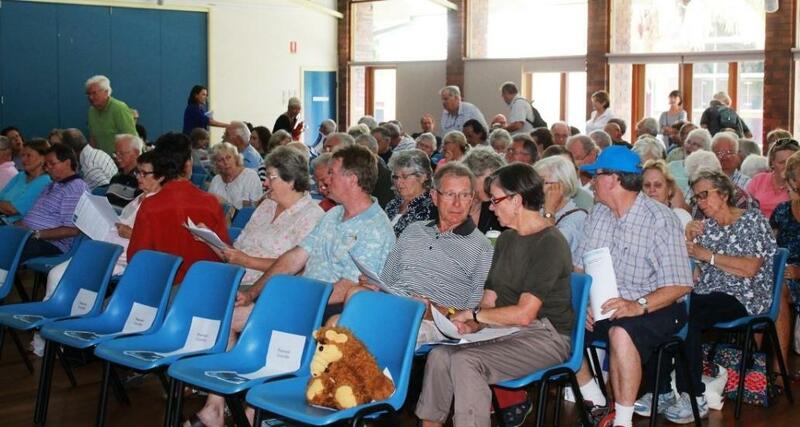 I know for me, personally and for many, if not all in this room, that is certainly not an option for Pittwater. Change is unpalatable for many but change is likely. Today I encourage everyone to speak up and express your thoughts around change. I know there may be a lot of emotion in this room today, as there has been in Council by your elected representatives over the last few months. It is a difficult decision, but as we heard at a Community Leaders Meeting this morning from Minister Robert Stokes, this is a time that we have to have the courage to look at what is best for us as a community here in Pittwater. We are all really trying to fight for an independent Pittwater and for an outcome we can all live with. Some of the comments made to day by our local Minister will be filtered through this Meeting today as he was unable to attend this meeting. I ask that everyone to be respectful of everyone’s views today, even if it’s not shared by you, it is still someone’s view and it should be considered and received with the same level of respect as everyone else’s view should be. " Mayor Townsend said. One speaker expressed an opinion that as we live in a democracy, we should step around Council should it not support residents views, and our state elected MP's and go straight to the Governor and request a referendum - statewide. Another gentleman from Newport expressed his disgust with the disparity among some Councillors at present and that anything other than supporting the original decision by residents was a betrayal of trust. Thank you. I have been a resident of Pittwater for at least 45 years. Before you decide on this, remember that Pittwater is a special place, we are a special area by international standards. If our council area and boundaries are lost we will always be outvoted by councillors from the more populated areas. We will lose any influence over our own affairs and we will soon be swamped by rampant over-development – please remember the reason this Council was formed was because of the Delemage Building in Mona Vale. We pay our rates out of our money and are happy with the service our Council gives us, why should we be bullied into changing this?! When I was at the Community Leaders Meeting this morning Rob said he would support whatever it is we wish to do, however the position of the status quo at present is not a supportable position. Option 2 was a position which he felt he could present as a compromise position that may work. The boundaries as they have been described are essentially areas that have the same density and the same character as Pittwater. There are a lot of parklands in these places, these are people who care about their environment and will actually be a benefit to our community. Your neighbours in Collaroy and your neighbours in Frenchs Forest are good caring people, they’re not like evil vampires, they could be of benefit and an extra positive influence. Going on from that, there are two choices here. The boundaries that have been drawn in the hybrid option are essentially boundaries that will keep the character of this place intact and the fundamental question is ‘do you want to be absorbed by Warringah?’, or ‘do you want to absorb the best parts of Warringah?’ which is the opportunity that is being presented today. It seems to me that government is meant to be about representation of the constituents. It’s not about the scale of Councils, it’s not about what’s not a solvent operation financially. What the State Government is clearly doing is offering morsels in the hope that we’ll bite to save them the effort of actually carrying out their plans. So I have five very short, deliberately emotive words which I think we’ve all heard very many times over very many years; you don’t negotiate with terrorists. I’ve been a resident here for over 40 years, I went through the secession a few decades back and have fought hard for this Council to exist. I’d like to make a few quick comments; I’m disappointed that LGNSW did not get together and put together a plan to debunk the myths that the current State Government is currently circulating. If there are so many Councils that do not wish to amalgamate – why haven’t you got together and put something together to run on televisions such as that which the government is currently running. Point 2; we will be here long after the likes of Baird and Stokes have gone. They will be gone and Pittwater will still be here. Let’s forget about them, if we have to vote them out next time, then we’ll vote them out. As many of you know, we have been veraciously protecting the independence of Pittwater for a long time now. I would like to make the point that we really are between a rock and a hard place and whilst I agree with all the sentiments expressed here today against this and how much we love this place and how what it is that lives here should be bottled, but this is not the issue. We’re all here because we love Pittwater – how many of you people here in this Public Meeting want us to amalgamate; could you put up your hand? That’s four people in favour of amalgamation - that speaks for itself. I would love to spend ten minutes telling you emotively how much I love Pittwater – but that’s not the issue. The issue, sadly, is that we are between a rock and a hard place and I can only give you my view. If we sit here and do nothing it will happen around us. Secondly, I hear all about the legal challenges – don’t you worry, they’ll do it, they’ll find a way, legal challenges or not. So what we have to focus on is what is the best way that we can influence the political process in order to get the best outcome for Pittwater. That’s the issue, not whether we love it – we all love it. Let’s assume we don’t rust the State Government, we think the whole process is a hoax, we think IPART’s a farce – fine, let’s accept all of that. what are we going to do about it? How are we going to insert something into the process that preserves the lifelong future of this wonderful area – I wish I had an answer for you, but that’s what we really have to focus on. What we may find, if everyone amalgamates around us and we’re left alone as a small area, that in three years time we won’t exist. Waiting for the next election – that’s not an option. We have to do what we can to intervene and insert something into this ratsh*t process and ensure the future of Pittwater in the political process. I can’t wait for a referendum – this is going to happen very quickly; that’s the issue to focus on. Councillors will consider the community voice and any discussions options at Council’s next meeting on Monday 16 November 2015. The General Manager will prepare a report on what Pittwater Council will propose as its preference - whch apparently must be not more than 50 words when it goes to State Government.